La Maison Jolie: Joyeux Noël! 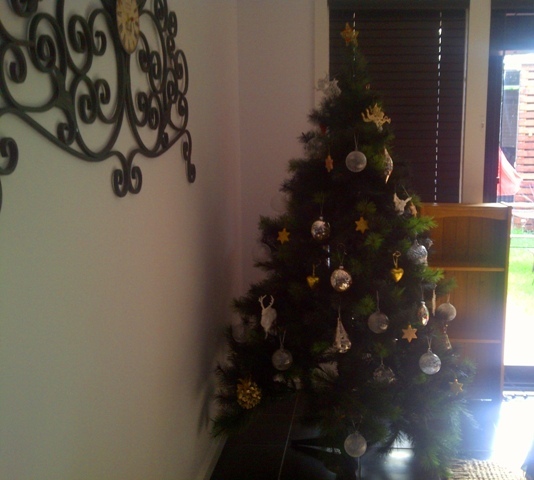 Today we decided its time to put up the 'Christmas Tree'! Our first Christmas in our new home! Im so excited! We went shopping for the perfect decorations. Glass baubles! Love them so much more than the plastic ones. The antique silver ones are especially nice! My very first attempt at Christmas Ham! It was delicious! Merry Christmas everybody!! !